A comparably little visited part of Islay, the cliffs west of Sanaigmore. This is a view south west over some of these impressive, dramatic and rugged cliffs. Taken on a beautiful June summer evening a few years ago. 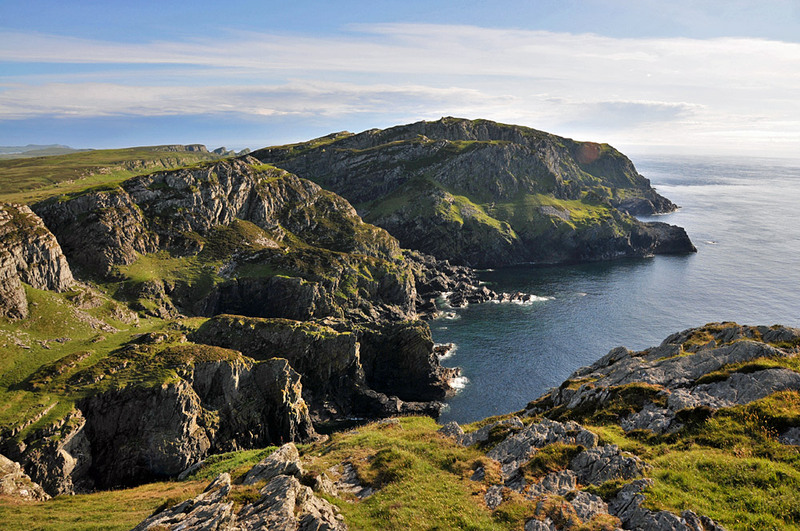 This entry was posted in Landscape, Repost, Sunny Weather and tagged Islay, Rhinns of Islay, Sanaigmore by Armin Grewe. Bookmark the permalink.